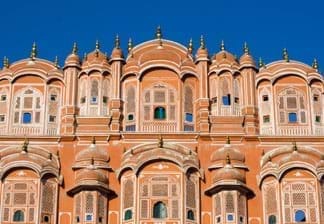 Jaipur, India’s first planned city and the capital of Rajasthan, is a perfect amalgamation of the medieval North Indian Hindu Rajput tradition and contemporary metropolitan culture. 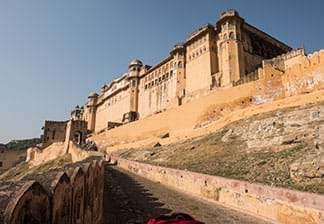 While the city is best known for its Rajput forts and magnificent royal palaces, it is increasingly becoming a site for several government and private development projects. 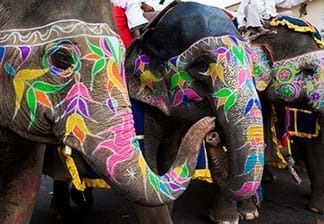 Jaipur tourism is a major source of revenue for the state of Rajasthan not for no reason. 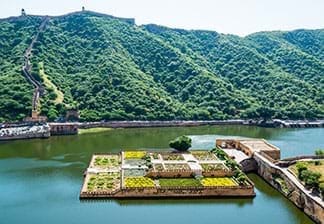 National and international tourists flock in large numbers to sink in the resplendent beauty of Jaipur’s Jaigarh Fort, Nahargarh Fort, the City Palace, Hawa Mahal, and the Lakshmi Narayan Temple among several other royal architectural marvels. Jantar Mantar, a UNESCO World Heritage Site, is another tourist attraction and pulls astronomy-buffs and history and culture enthusiasts alike. The city is not only lush with monuments but is thriving with a rich culture apparent from the exclusive merchandise available at its local bazaars. 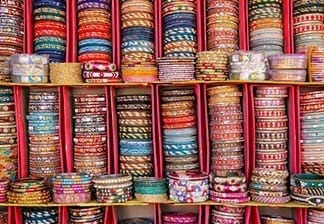 Blue pottery, embroidered leather shoes, dyed scarves, Jaipuri rajais, semi-precious jewels are but only a few among the exotic range of products Jaipur has to offer to its visitors. Hotels and resorts in Jaipur are strategically located near major tourist attractions and extend the warm and welcoming Jaipuri royal culture. As a part of the Tourist Golden Triangle, and its proximity with Delhi, Jaipur’s prominence has increased manifold, especially after the near-completion of the Delhi-Jaipur Expressway. It is one of the most visited destinations for the weekend get-away not only from Delhi, but from all over India. Jaipur is equally popular among foreign tourists since travelling to this city means witnessing the past and future walk hand-in-hand. One of the most beautiful cities of India, Jaipur, also known as the Pink City of India is a very popular tourist destination. Built in the eighteenth century by Sawai Jai Singh as India’s first planned city, Jaipur is a perfect combination of old-age charm and modern splendor. Serving as a major tourist attraction spot for Indian as well as international travellers, Jaipur is beautifully adorned with architectural marvels, like the City Palace, Hawa Mahal, Amer Fort, and Nahargarh Fort. Jaipur stands as vanguard of the royal glory matched with the best of natural beauty. The Fortune hotels in Jaipur deliver some of the best services and facilities to their guests in the Pink City!